For the past three years, an important and successful event for the mining sector has taken place in Brussels, in English, that I suspect most readers of this publication don’t know about. 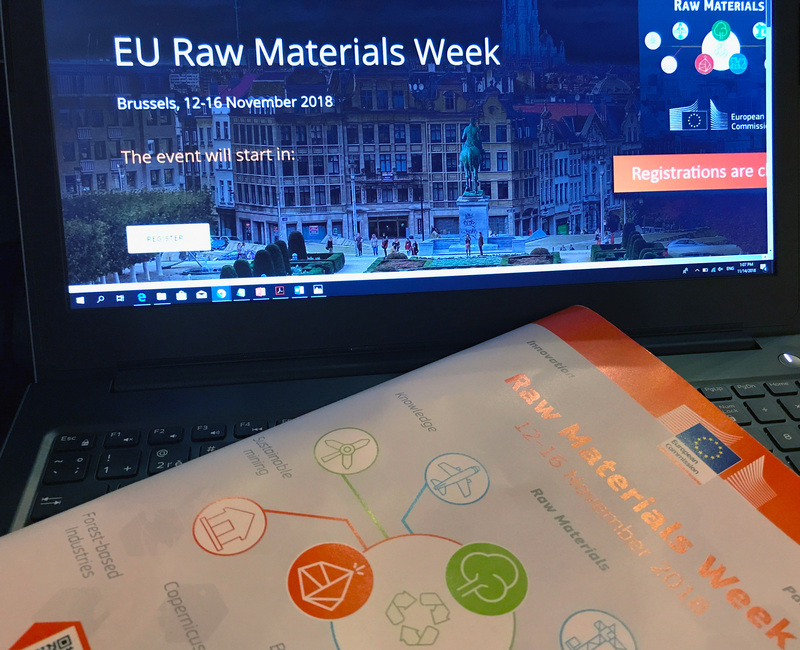 Raw Materials Week is a series of events organised by the European Commission addressing the latest news on raw materials in the EU. It provides an opportunity for the raw materials community to meet and discuss all relevant issues: policy, technology, international cooperation, framework conditions, knowledge base and so forth. Most importantly, it places raw materials in the forefront of the ‘value chain' approach that is now bringing together, among others, EU industrial, climate and environmental policies. There is a clear recognition that we cannot achieve climate goals, technological change or industrial success without a far better focus on our sector. A very prominent example of this is the recent EU Batteries Initiative. About 800 people attended 12 core events and many side meetings during the week commencing November 12. The industry was represented as were our customers, service providers, financiers, academia, research bodies, EU Institutions and numerous governments. The 6th High Level Conference of the European Innovation Partnership (EIP) on raw materials was the centrepiece highlighting the 10th anniversary of the EU Raw Materials Initiative. Its main topic was ‘Raw materials for low carbon and the Circular Economy'. Familiar issues were addressed such as finance, permitting and land-use, but with an increasingly positive, icebreaking, view on both the battery value chain and secondary raw materials. The commission also presented the new edition of the ‘Raw Materials Scoreboard'. Its purpose is to provide quantitative data on the EIP's general objectives and on raw materials policy. It presents relevant and reliable information in five thematic chapters covering 26 indicators based on best available data. On ‘Critical Raw Materials, the commission suggested a new approach for its upcoming review in 2019/2020 by complementing data assessment with regional inputs from individual schemes and projects in order to foster circular economy projects with reference to those critical raw materials. There was also the annual call for proposals under the raw materials part of Horizon 2020, the EU's €80 billion (US$91 billion) research and innovation programme. Now in in its fifth year, some 65 collaborative raw materials projects have been funded, for a total of €370 million of EU funding. Over 600 entities now participate as beneficiaries, roughly half of them commercial organisations. We heard there will still be around €200 million made available by means of two new calls for proposals; the next deadline for submissions is in February 2019. Karen Hanghoj of EIT Raw Materials (a unique EU initiative that boosts innovation and entrepreneurship across Europe) gave me her overview. "Raw Materials week is a very important event that brings the sector together to exchange news and ideas," she said. "It has become a forum for showcasing European research and innovation projects across the entire value chain, and a place where trends, forecasts and policy are discussed amongst all relevant stakeholders. "It is an opportunity both for a very direct dialogue with policy-makers and to meet many of our partners and contacts." A Canadian official described it as a "mini PDAC" and, yes, there is a familiar sense of overload sometimes. Many people would prefer a schedule with no overlapping sessions for example. But overall and looking at the considerable coverage on social media, the event has improve year-on-year. So, what was my takeaway? In some ways, it has taken 10 years for the industry to get the message across, but the commission today clearly understands our sector is vital to many of its target areas. The main problem, frankly, has been a lack of political will and we needed an example to show that. The EU Batteries Initiative proves the difference that political support can make. We hope to see this go much further. And no, we didn't talk about Brexit!